After making a promise to build a church for this village in 2006, we built a church in 2007 with the help of the Winton Road First Church of God in Fairfield, Ohio. Many donations were received in memory of Pat Rogers, a teacher of the Willing Workers Sunday School Class who bravely fought cancer for nine years. 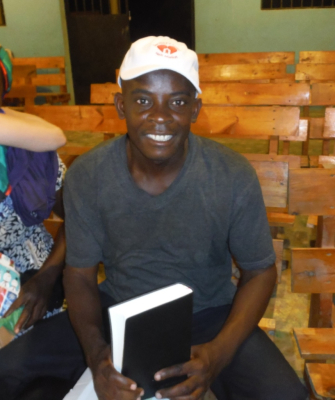 Our Haitian pastor is Veles Dorcius, a wonderful family man with a vision for the LeFond community. We currently have 256 students in our school with eight teachers and classrooms. The teachers start each day with devotions and are dedicated to providing these children with an education that their parents didn't get. Most of the adults in our village cannot read or write, but with your support, these children have hope for a better future. ... providing the spiritual, educational and physical needs of the village of LeFond, Haiti.